Namecheap is a well-known company from Arizona that allows its users to create an impactful web presence by providing them with easy domain name registration, budget-friendly hosting plans, and a ton of useful business apps. The company is a great proponent of online privacy and net neutrality and it has recently launched its own VPN service. Our Namecheap VPN review will go over its main features as well as overall security & privacy levels, so keep on reading to learn everything about this new VPN. The Namecheap VPN client is beyond simple, which makes it an ideal solution for beginners without any previous technical knowledge and expertise. The main screen features a large map with all the available servers and a big orange “Connect” button underneath. The top-right part of the screen is reserved for two different option menus that allow you to set the client according to your personal preferences. The registration is also very simple. All you need to create a personal account before using the service is your first/last name, email, username, and password. Here, you can also inform the company whether or not you want to receive newsletter and marketing communication. Namecheap owns its servers and network, which results in some pretty impressive speeds ideal for data-heavy tasks like streaming, online gaming, and data transfer. As with any VPN out there, there is a slightly higher ping (8ms to 13ms) and a barely noticeable speed drop (download – from 91.2Mbps to 86.55Mbps; upload – from 31.69Mbps to 29.43Mbps) when using Namecheap. Of course, the speed also depends on the actual server you are connected to. Bottom line, Namecheap VPN provides its users with amazing speeds paired with pretty good connection consistency. Once you actually connect to a server (which may take a while), you will not experience any sudden speed drops or disconnects, which is especially important for online gaming. Namecheap VPN currently supports Windows (still in beta), macOS, Android, and iOS. If you are planning on using the iOS app, we recommend buying it on the official website since Apple adds a 30-60% fee, depending on your location. When it comes to the Windows app, users have reported issues on Windows 10 caused by IPv6 that usually disappear when they disable it on their networks. The app performs pretty well, but it still features only IKEv2. Namecheap VPN provides its users with 1,000+ servers spread across 40+ location, which is pretty impressive for a service that is just starting out. Server locations range from the US, the UK, and Switzerland to Malaysia, South Korea, and Cyprus. The list also features lesser-known European VPN locations like Serbia, Albania, Romania, Slovakia, and Slovenia. 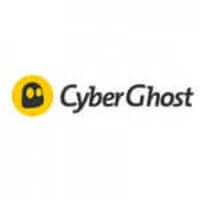 As we already mentioned in this Namecheap VPN review, the company owns an effective network of high-speed servers that guarantees consistent connections and enough speed for even the most data-intensive operations. It also provides its users with unlimited speeds and bandwidth. Namecheap VPN can be used on up to 5 devices at the same time, which makes it a part of a pretty elite group of VPN services that can provide an entire family with secure connections on all their favorite devices simultaneously. Finally, the service does not feature an automatic killswitch, which is something we would definitely like to see in the future. When it comes to security and privacy, this is where Namecheap really leaves us in the dark. The official website does not say anything about the supported connection protocols and we are pretty sure the software does not include OpenVPN. Additionally, the company states it provides its users with “military-grade encryption,” but it does not give us any details regarding the actual cipher, handshake, and authentication. We presume it uses AES-256 cipher, but we cannot know for sure. The FAQ section on the site spends more time answering general questions like “what is a VPN” and “how VPNs work” rather than talking about the specifics of the service offered. On the plus side, the company implements a strict no-logging policy. This is good news since the company is registered in the US, which is known for its aggressive spying activities and association with international spying organizations. Plus, it provides solid protection against DNS leaks. Namecheap features an award-winning 24/7 customer support and includes a live chat feature that is, unfortunately, reserved for paying customers only. In other words, you have to provide the company with an email associated with your personal Namecheap account in order to start a conversation with a representative. This means you can only get help AFTER you have purchased one of the available subscription plans, which is definitely not the way to go and we hope Namecheap opens up its live chat to the general public in the future. As we wrap up this Namecheap VPN review, here’s a quick overview of the features that wowed us and the aspects of the service that could use some improvement. Our ratings are the result of an objective and independent evaluation of Namecheap VPN , generating the final rating that reflects the overall quality of the company. Ratings may change as the service changes. Namecheap VPN user rating based on 2 user reviews. We found 0 verified Namecheap VPN discounts for April, 2019.